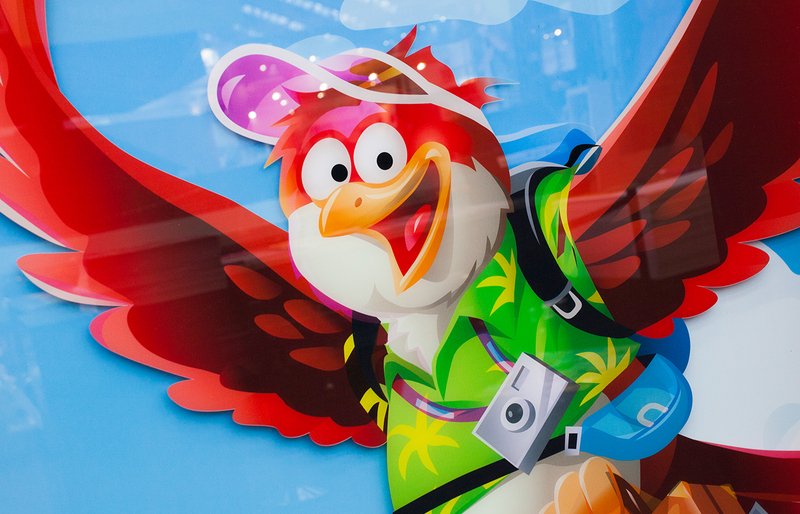 Produce high quality superwide display and exhibition graphics in the most cost-effective way. 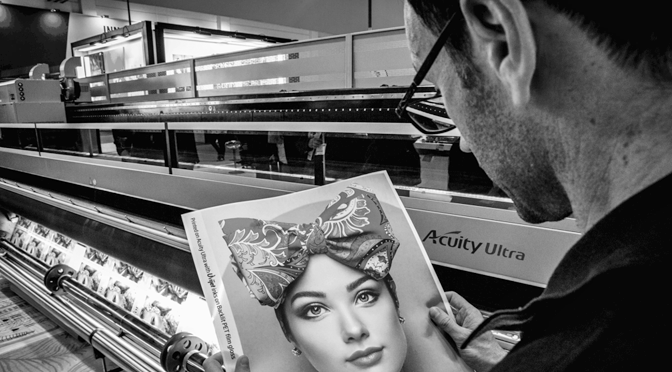 With low energy LED UV curing technology, the Acuity LED 3200R delivers excellent production efficiency with impressive productivity. LED UV technology uses less power and produces less heat than conventional UV curing. Compared to solvent-based printers the output is very low-odour and no dedicated extraction is required, so the Acuity LED 3200R can be used in most working environments without dedicated extraction. Running costs are low. LED UV requires no lamp warm-up time, so printing can start immediately. 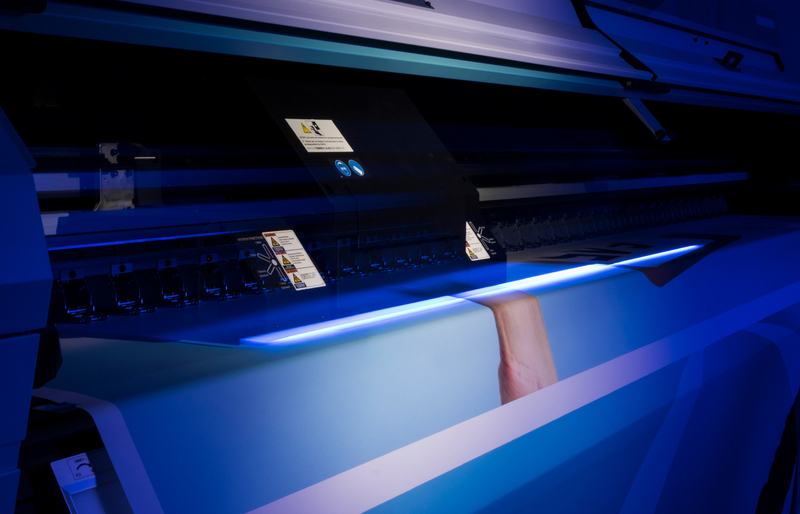 LED UV inkjet requires minimal daily maintenance. Produce very high quality images at up to 60m2/hr, thanks to small drop piezo printhead technology, unique waveform control technology and a print quality management system. 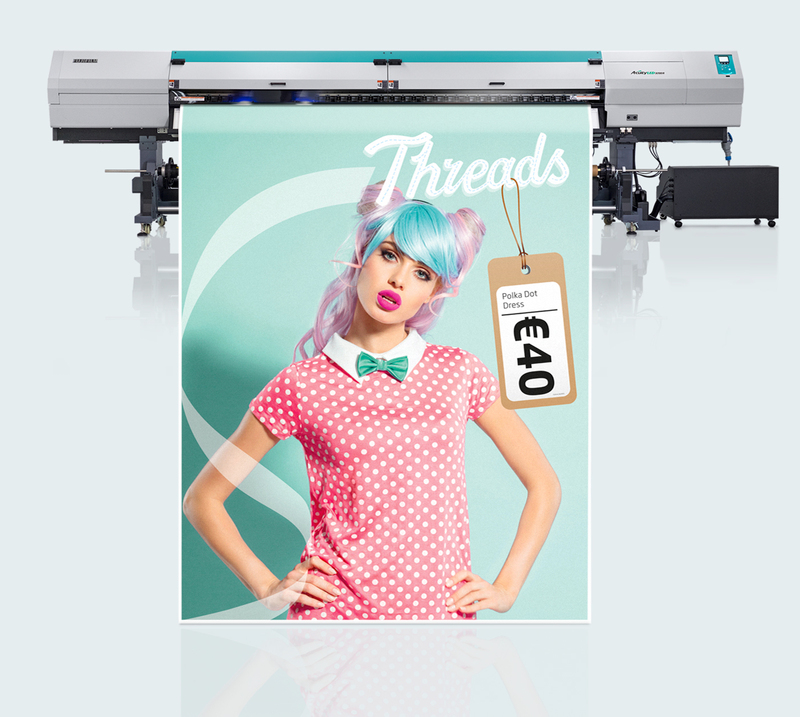 A 110m2/hr printing mode enables the production of a 3.2 x 4.2m banner in just 7 minutes. The quality in this mode is suitable for installations with longer viewing distance. 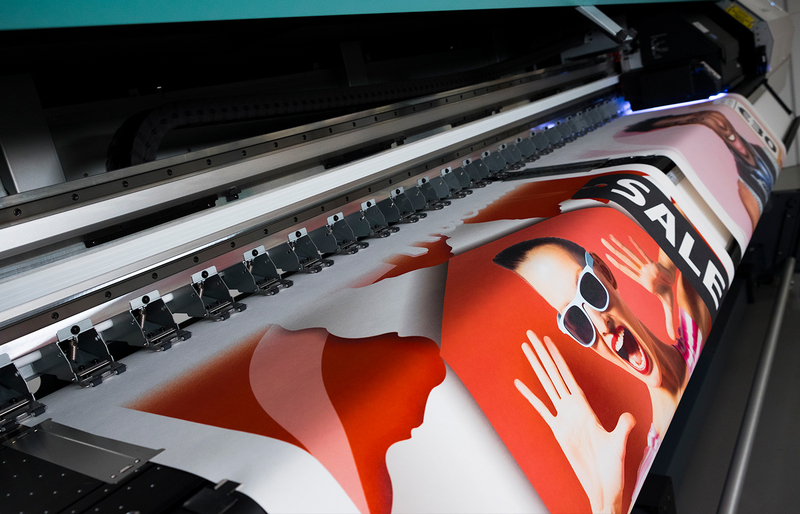 With specially formulated Fujifilm Uvijet inks, you can print on a wide range of display materials, even some specialist materials like polyester textiles and heat sensitive media. 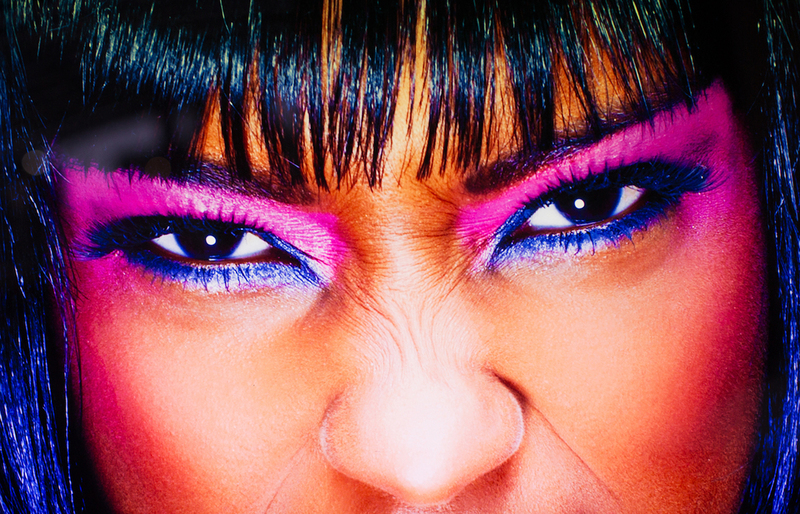 Images are crisp and vibrant. Backlits are stunning. 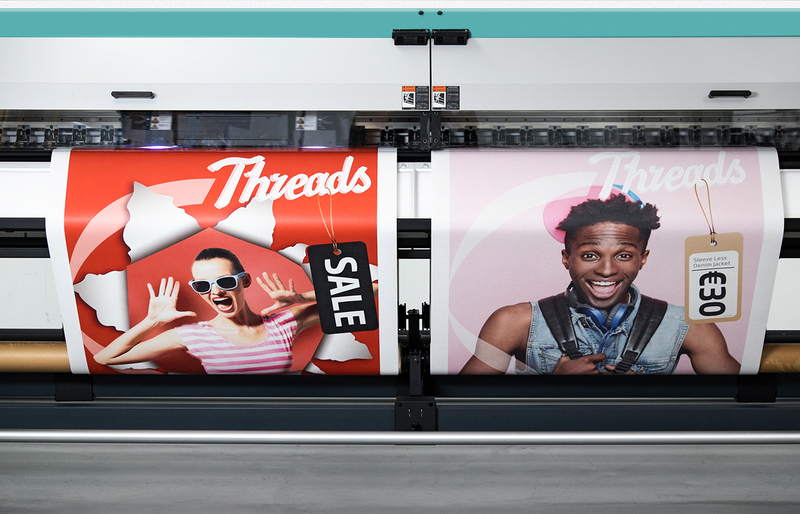 Achieve maximum production efficiency when printing smaller jobs by printing on two rolls at the same time. Print the same job or different jobs, nested images, duplicates or tiled images. There is also an automatic media width detection feature. 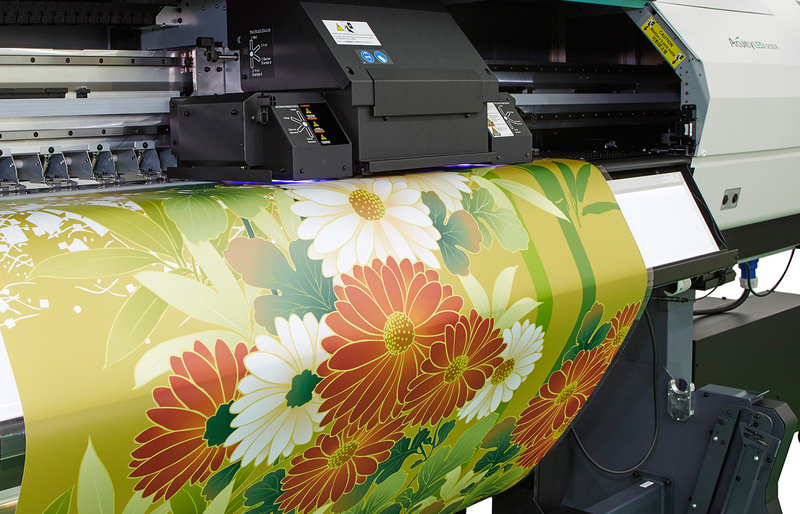 A built-in illuminated panel allows backlit prints to be checked as they are printing, so there is no reduction in uptime. This enables any errors to be quickly spotted and corrective steps to be taken, saving time, ink and media waste. 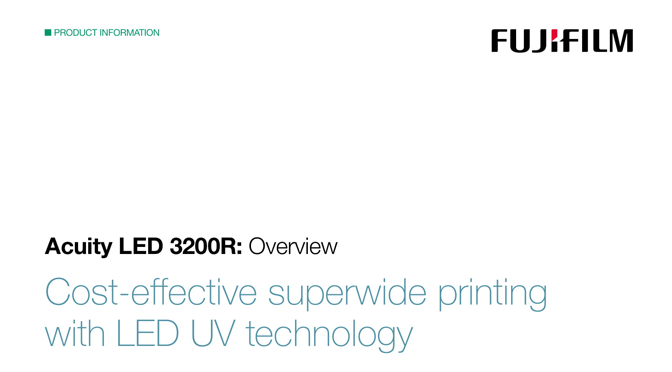 Fujifilm Uvijet ink systems are renowned in the industry through Fujifilm’s high-productivity wide format printers. Fujifilm’s Micro-V ultrafine dispersion production technology produces high pigmentation for strong, vibrant images and a wide colour gamut. In addition, it produces a low-build ink film with excellent coverage, high density vibrant backlits and a durable finish. The standard colour configuration is CMYK and there are several options to add further colour channels to suit your production needs. Add light inks for enhanced smooth vignettes and skin tones, white ink for spot colour or special effect printing on clear and coloured materials, or clear ink for spot varnish effects. Print colour-white-colour layers in one pass for two-sided images on transparent materials. 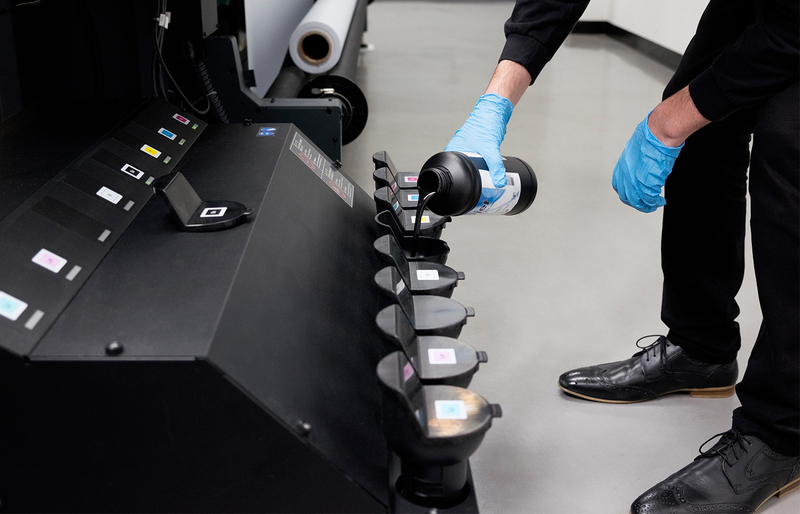 This system enables full quality printing to continue without running a cleaning cycle. It is perfect for getting rush jobs completed without compromising quality. Missing or defective printhead nozzles are automatically detected and cleaned. Nozzles that don’t clear automatically are replaced by other functioning nozzles. A bulk ink system holds 3 litres of ink per channel, so you spend less time replenishing ink to keep up with high productivity printing. It includes an ink level indicator. Removes the static electricity charge that can affect print quality on materials like PVC. For optimal, stable printing on thin or soft materials that could tear or crease when moving through the printer. Prevents crease formation in materials that tend to generate creases when using a media stand. Easily load and unload large rolls up to 200kg.